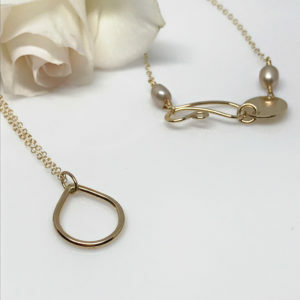 If you’re looking for something to give you the “WOW” feeling, this is your necklace. Silver dewdrop collar necklace. From my ‘Dewdrop Collection’ comes nine single silver dewdrops soldered together to create a wonderful collar style necklace. These dewdrops hang between delicate strands of Argentium silver chain. Petite freshwater pearls connect the chain to the dewdrops. 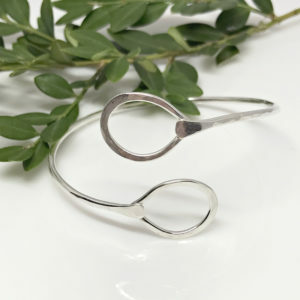 The hand forged clasp is also adorned with freshwater pearls. 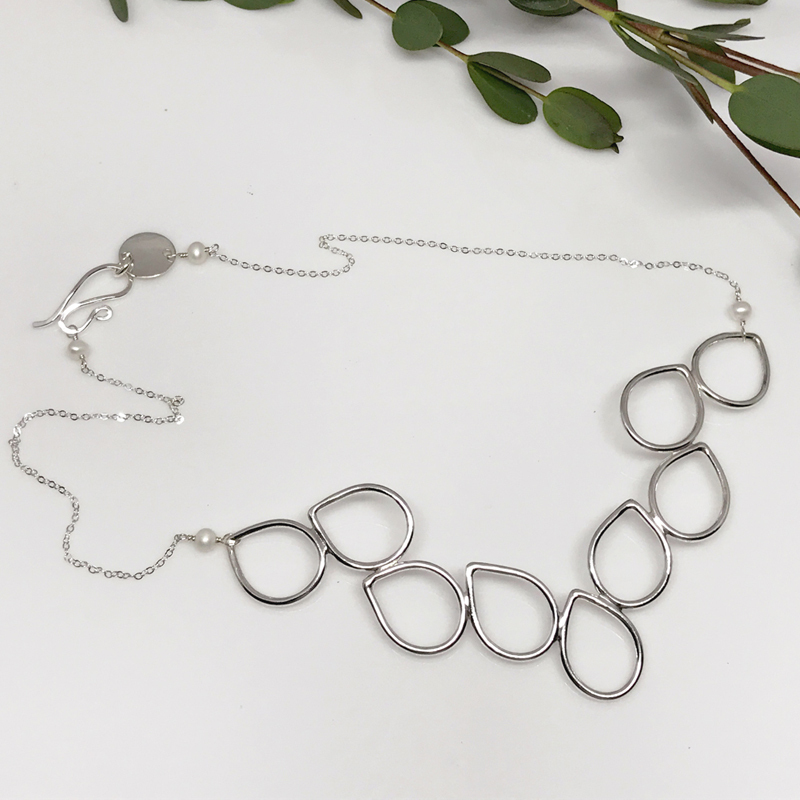 Looking for that “WOW” feeling, this collar necklace is perfect. If you prefer the look of gold, you’re in luck…there is a gold filled option available. 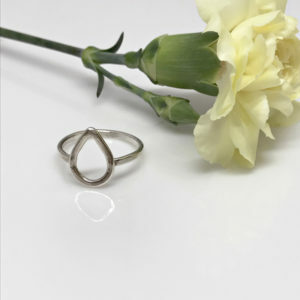 However, this option is Made to Order and could take up to two weeks for shipment. The overall length of the chain is 12 1/2 inches with the dewdrops spanning an additional 4 1/2 inches. It lays just below the collarbones. 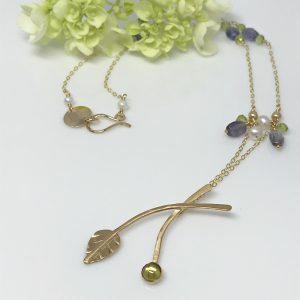 This necklace would look lovely with the Petite Dewdrop Dangle Earrings. They’re on the delicate side so they would definitely not take away from the necklace. Or, if you prefer to really make a statement, pair them with the Falling Dewdrop Earrings.